Anyone else struggling to get out and work on their cars at the moment? I usually do a fair amount during the winter but it is really starting to drag on and I must admit I doubt I'll get much done in the evenings this week. Oh for a heated garage big enough to properly work on the coupe! Err... only cause I'm lazy! It was fine when I had my Midget. Garage door shut, little heater on and just set a few bits of carpet on fire when welding it soon heats up. To be fair if I had a lift of some sort I could probably work on the underside and engine of the coupe reasonably well but it's no good for bodywork. We count ourselves lucky we even have decent parking and a garage for a modern housing estate but definitely no space to have anything larger built, even if I did have the funds. One day maybe. Anyway I'm going to brave it tonight I think. So you have a 800 on the 800 stand so will not need that extra wrist band that I have been promised then. 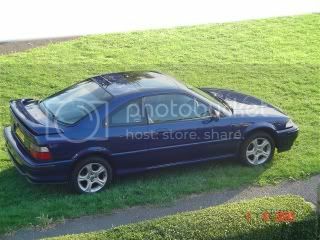 I have a 420GSI exec on the 200/400 stand so if anyone wants to help come and polish my car and/or give me a lift to and from the show on Friday or Saturday, or to the show on Sunday (unless we brake the 420 and I have to take the trailer back up Sunday morning) we may be able to get you in and maybe even get free parking. Same here, 36m2, 2 x 3kW heaters and can't be bothered really . In all truth, the next job on the MG is to flush the radiator and block out, which is an outside job and is too cold to do at present. Hopefully at the weekend when it warms up it'll get done. Far to cold in my garage even the lift and 3kW heater don't make it any more appealing. I have a couple of jobs to finish on the Cerb (maybe 2 hours work) and I have put it off for three weeks now. Maybe the new 60m2 build will make it more appealing. Although the guy welding Rav's car yesterday in my open car port must have been frozen! Oh so he did actually come over then? Poor sod working outside in this weather! ...I did wonder if he just had enough of the cold and thought up a reason to stop.